A high quality general purpose bait preparation and tackle station. Choose your equipment level to suit your fishing style and requirements. Our ergonomically designed bait preparation centre is available with various options to suit varying fishing styles and needs. Moulded fibreglass construction – for longevity and wear resistance. All radius edges for ease of cleaning and prevent hook and knife jams. 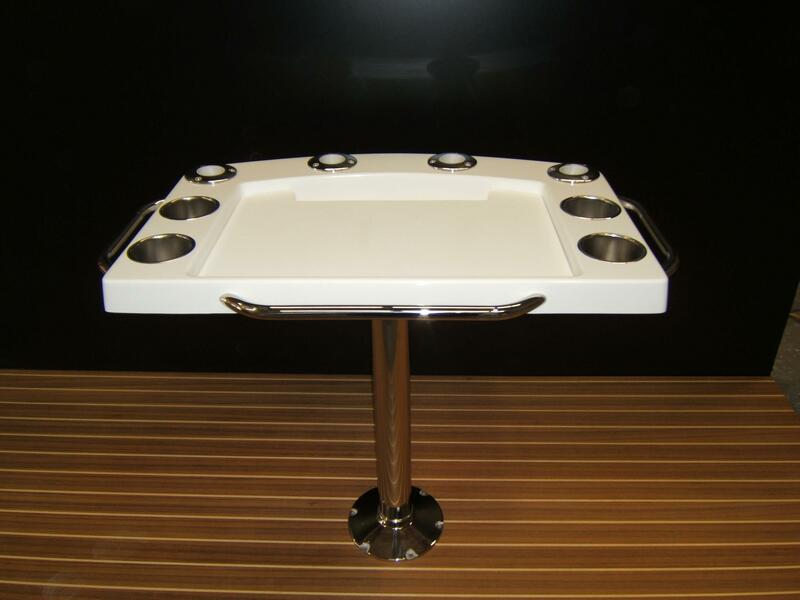 NOTE: This price is for the table top with drink holders, cutting board and handrails only. 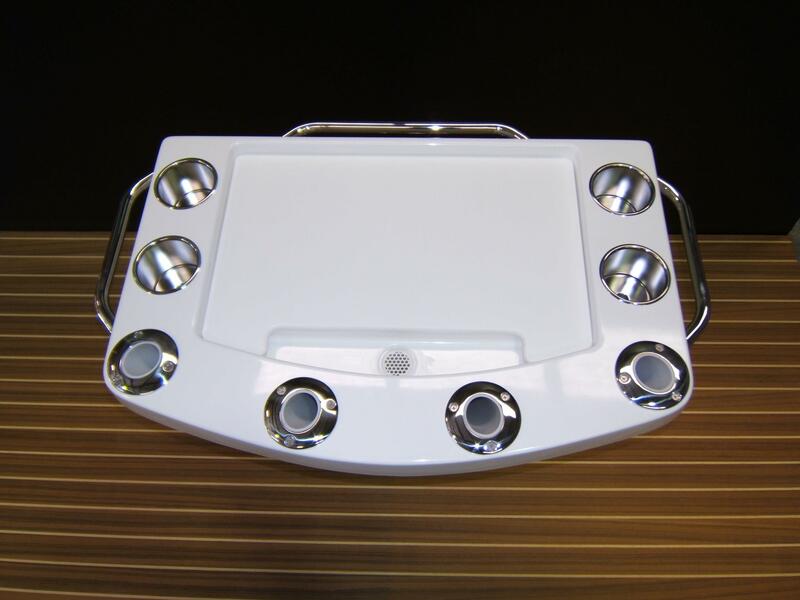 You must choose your pedestal and rod holders from the online shop also to complete the bait preparation centre. Choose either the aluminium pedestal or stainless steel pedestal (1 required). Choose either the Reelax Standard stainless steel, Reelax Heavy Duty cast stainless steel or Top of the Range Pompanette Heavy Duty Rod Holders (4 required). Our Bait Preparation Centre may have been copied by many however we are the original designers and will custom make to any configuration you require.